A Computer Science inspired lifestyle empowerment brand. "You're Smart. Look Smart. 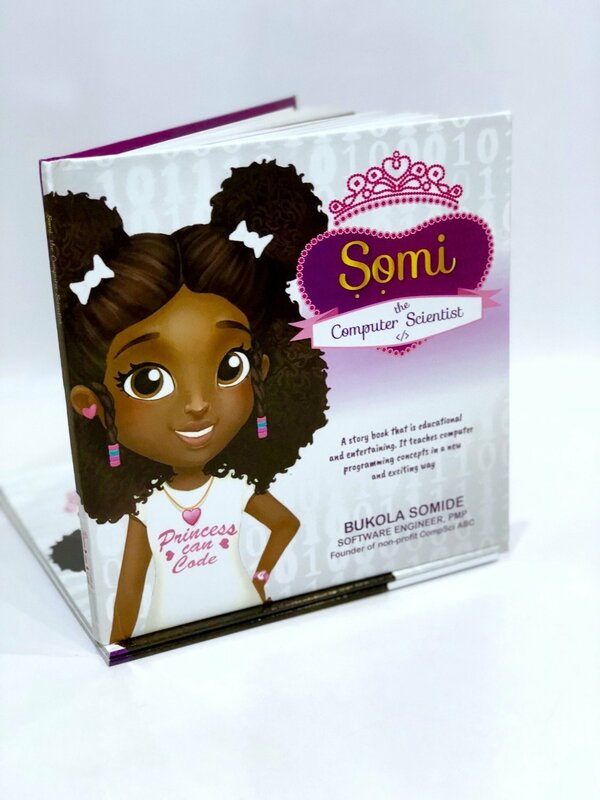 It's Cool (TM)"
Somi [shaw-me] is a curious, bright, humorous, and beautiful young girl who has a natural interest in learning Computer Programming concepts. Her inquisitive nature allows her to connect what she's learning with real life experiences. Somi's Mom, a Software Engineer, serves as a mentor for her inquisitive daughter. This captivating picture-book is sure to excite the imagination in every child as they are kept in suspense while a birthday surprise unfolds towards the end. The reader is drawn into her world while learning programming concepts in a fun and exciting way. Smarts Plus Swagg is unlike any other merchandise brand out there. We marry Computer Science awareness education with self-confidence (aka "Swagg"). We are on a mission to empower the youth (millenials) to aspire to be excellent, believe in themselves, create a style that is unique to one's personality. Rock Smarts+Swagg gear with confidence! With your personal "Swagg"! There is only one unique you in this world. Our purpose is inline with the missions of nonprofit CompSci ABC (www.compsciabc.org). Twenty-percent of all purchases (less fees) goes to support the various programs at CompSci ABC.